Allendale Design Build, LLC is an Architect led Design Build firm that specializes in factory built modular construction. Architect, Kevin M. Martin has been involved in the growing trend of modular construction in Northern New Jersey for new construction and offers offsite factory built construction for most of its projects. Our projects range in size and cover all aspects of residential practice including, small projects, major renovations, seamless additions , new custom homes and new offsite factory built modular homes. At Allendale Design Build, LLC we approach every project with a focus on aesthetics, cost, functionality, and you. Each project is handled with our unique perspective and integrity. We maintain total control throughout the design and construction process to ensure that your residence is built to the highest quality standards. We manage all stages of each project, from the pre-design phase of the project, through construction, and project delivery. Allendale Design Build, LLC streamlines the project combining design and construction experience into one team, the home owner realizes the benefits of one stop shopping! 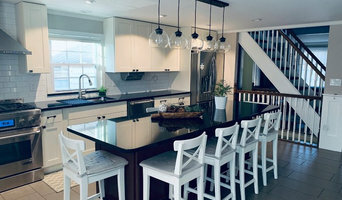 Woodland Partners is a multiple HOBI award winning, residential construction team providing top quality workmanship in lower Fairfield county, CT. We are invested in the outcome of our projects and strive to make each project an enjoyable experience. Our mobile construction app means tracking your project is only a click away. ECS Custom Homes is a Construction Management firm that specializes in new homes, residential renovations, whole home re-modeling and additions. The company is run by husband and wife team Mike & Nora, whose blend of organization, planning, style and attention to detail is brought to each and every project. ECS’ expert network of tradesmen can tackle any genre from traditional through transitional and contemporary. For over a decade, ECS has excelled in finding creative solutions to design issues, delivering a superior finish and meticulous detail. Mike’s multi-skilled approach sees him able to advise on structure and materials through to interior design. Mike prides himself on their project and time management, which is delivered with determination, vigilance and passion. Ultimately their real skill is in building partnerships – not simply with tradesmen and suppliers, but with the homeowner, living the mission day by day to create something beautiful. The premier home builder, house lifter, and renovation specialist at the Jersey Shore. We know what it takes to build or renovate a home of uncompromising quality in our shore environment. Every project is truly a custom experience. Our experienced consultants, in-house design, leading trades people & quality vendors all join forces to construct or renovate homes of unparalleled quality. All services from start to finish are offered in house as we work alongside you to complete the project of your dreams. Contact us today and learn how we can make your dream home a reality. 915 Construction Home of the Handyman Express! 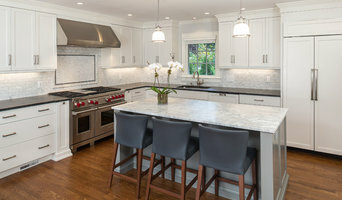 Jaimie Iuculano & John Keffas We are a full remodel and new home building company. We are also the home to The Handyman Express, a full service handyman service that can handle all your small home repairs. We truly are your one stop shop for all construction needs! Building and remodeling company located at the Jersey Shore - servinig Ocean and Monmouth counties - helping homeowners realize their homes potential. Specializing in primary residences and second homes. We provide a full range of services and our long term goal is to have you as a maintenance customer for life. Horowitz & Sons Construction builds world class custom homes with the finest attention to detail in Northern New Jersey. Using the highest quality materials available along with skilled and reliable craftsmen, Horowitz & Sons Construction consistently delivers gorgeous spec and custom homes in a timely manner that we are willing to stand behind and back with a 10 year home warranty! If you are looking to build your dream home, give us a call today at (908) 364-5489 or click the "Contact Me" button to send us a message. We look forward to working with you! Crimson Capital LLC is one of New Jersey’s most established residential developers and custom home builders. Crimson Capital provides a full service home building experience – making custom home construction the exciting and enjoyable process that it should be. Over the past 35 years, the principals of Crimson Capital have constructed over 200 single-family homes (spec and custom) throughout Morris, Essex, Sussex, Passaic, Monmouth, and Ocean County. Crimson Capital takes pride in building an affordable custom home with quality craftsmanship and detail oriented customer service. We rely on our product to speak for itself. For more than 25 years, Gialluisi Custom Homes has been at the forefront of style, quality, design and innovation in the Luxury Custom Home, Remodeling and Renovation market in the Westfield, Chatham, Berkley Heights, New Providence, Millburn, Short Hills and Crawford areas of New Jersey. Partners and Founders, Todd Ellner and Pete Gialluisi have, together, changed the perception of how the new home construction and home renovation process should be managed. At all levels of the company, from senior management to the hands-on craftsman, the culture is one based on the belief that the most beautiful homes and the most exciting renovations can be achieved within realistic budgets while still using the highest quality materials and finishes. Throughout Westfield and the surrounding areas of New Jersey, Gialluisi Custom Homes continues to build on their proven success. They know and understand that the most desirable homes and the most successful additions and renovation projects are those in which clients and their families can live effortlessly and comfortably in an environment that meets their highest expectations and compliments their lifestyle. Todd Ellner and Pete Gialluisi invite enquiries from clients looking to build a new home or remodel their existing residence in a manner that compliments their taste for classic interiors and beautiful features. At Captivating Construction we know that the hardest part about building your dream home is finding the right team for the job; which is why we are here to make sure the process is as easy and seamless as possible. Since the company first broke ground over 30 years ago we have been driven by one motto; deliver the finest quality homes and with the highest level of customer service. For most homeowners, building a home is the single biggest investment they will ever make; and that is why we treat every project as if it were our own home. Responsibility, quality, and customer service are what we've built and pin our reputation on. By working diligently with each customer on every detail of their project we are able to make sure that it is completed on time and on budget. Building is not an exact science, it is a fluid process in which our experience and attention to detail allow us to stand above the rest. Finishing a project on time and on budget are incredibly important to you; and we pride ourselves on our ability to do just that. You can't put a price on peace of mind - when you work with us, you won't have to.